Stronger Than The Storm. New Jersey Official Lyrics. Joey Lawrence Hair Transplants? Pecs? Biceps? Speedos? Waxed Chest? Edward Snowden’s Sexuality Issues. The Making of an American Misfit. Kim Kardashian and Kanye West First Baby Pictures. 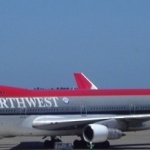 In keeping with the entrepreneurial spirit of her parents Kim and Kanye, North West has announced that she is merging with United Airlines. Here is the first baby picture of Kim and Kanye’s baby girl — isn’t she a beauty. Most kids can’t even crawl until they’re at least 4 months old – this gal is 2 days old and she can do 550 mph at 37,000 feet. IMDB STARmeter — is it being rigged by Amazon? Sure looks like it. For anyone who has been living in a cave for the past 15 years, please be advised that there is a website called the Internet Movie Database — or IMDB. It can be very useful if you are a person who likes to look up things about actors and movies — but that’s where it’s usefulness ends. The IMDB is a giant warehouse where electronic knowledge of everything you need to know about movies or actors or television is stored. A TRIBUTE POEM to #JAMES GANDOLFINI. Lucky Horseshoes from Racehorses? Strange New Fad or Witchcraft? In recent years the horseshoe has been used as a lucky charm, but in the distant past a horseshoe was hung over a door to keep away bad luck or illness. Throughout the course of our lives many of us have grown used to seeing a horseshoe hanging here and there, but in the past few years, a very curious thing has been happening in the world of horseshoes and it’s happening in a few secret areas in the USA.